Offiicial Trailer For LEVEL 16 Is Within! "Level 16 is not like the other levels." In the new movie LEVEL 16, girls growing up in a strict facility just hope to escape by finding a family that wants to adopt them, but they end up fighting just to survive to see the outside world when disciplinary actions become lethal in the sci-fi film's official trailer from Dark Sky Films. 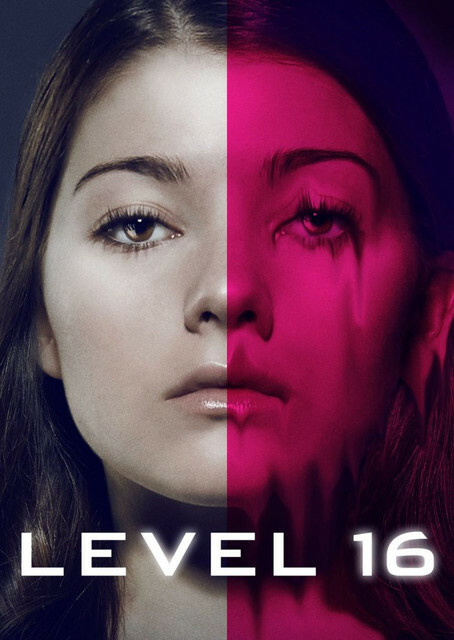 LEVEL 16 is written and directed by Danishka Esterhazy, and produced by Judy Holm, Michael McNamara, and Stéphanie Chapelle. The film stars Katie Douglas, Celina Martin, Sara Canning, Peter Outerbridge, Alexis Whelan, and Amalia Williamson. In the thematically rich fantasy LEVEL 16 will be released in theaters and on VOD beginning this March. Teen-aged Vivien (Emmy-nominated actress Katie Douglas) and Sophia's (Celina Martin) are locked away in a sterile top secret facility where they're taught the finer points of "feminine virtues" by Miss Brixil (Sara Canning), a Stepford-like headmistress, and left to question what fate awaits them when they age out of the institution. "Sixteen-year-old Vivien is trapped in The Vestalis Academy, a prison-like boarding school, keeping to herself and sticking her neck out for no one. Until she is reunited with Sophia -- the former friend who betrayed her. Together the girls embark on a dangerous search to uncover the horrifying truth behind their imprisonment. Soon running for their lives, the girls must save themselves or die trying." LEVEL 16 will be released in theaters and on VOD beginning March 1st.